www.autofinders.co.uk a selection of new cars, including the popular Skoda Yeti, in stock with reduced prices and no lead times. All cars are brand new 11-plate vehicles supplied by franchised uk main dealers, complete with full manufacturers UK warranty, breakdown cover and road tax. 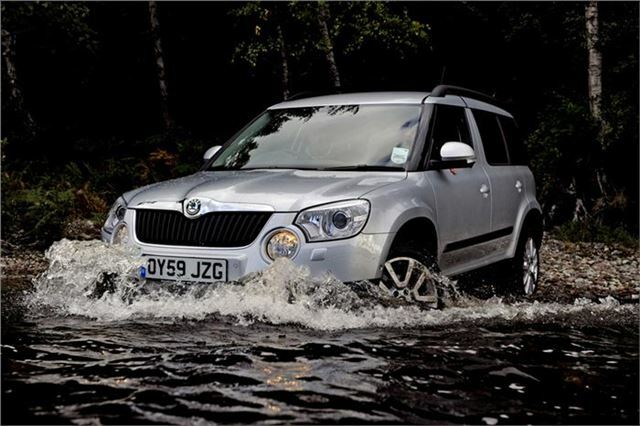 Skoda Yeti 2.0 Tdi 140 BHP 4x4 Elegance. £21,995 on the road. Nissan Qashqai 1.5 DCi N-Tec. £18,995 on the road. Seat Ibiza Cupra 1.4 TSi. £15,695 on the road. Ford Kuga Titanium 2.0 TDCi 163 AWD, including Bluetooth and appearance packs, £22,495 on the road. Autofinders are members of the Retail Motor Industry Federation as an independent car retailer.